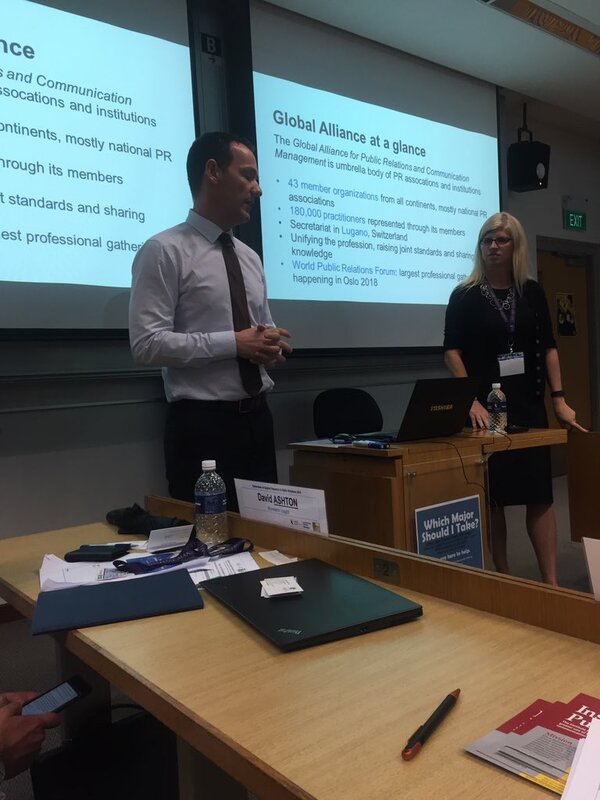 This month, IPR expanded our international scope with Research Symposiums in Hong Kong and Singapore. IPR Research Symposiums are a way of saying thank you to our supporters. Attendees are invited to listen to and discuss the latest public relations research findings with authors, fellow practitioners and educators. The research symposium in Hong Kong was sponsored by AIA Group and was attended by professionals and academicians in the region. Amy Wendholt from APCO Worldwide presented on stakeholder perceptions and research driven engagement in Asia, David Ashton from Brunswick Insight discussed results on how should corporate structure and staff their communications function in order deliver high performance. Tina McCorkindale shared findings from the USC Annenberg Center for Public Relations’ 2016 Global Communications Report. Details of the research symposium can be found here. IPR also organized a symposium on Applied Research in Public Relations with support from Lee Kong Chian School of Business and Institute of Public Relations of Singapore at the Singapore Management University. The theme of the symposium was “What is Asian Public Relations and What Answers Does Current Research Have?” Professionals and academics presented on topics like corporate social responsibility, employee engagement, government communications, future of the PR industry and what competencies does the PR industry need in the future. Details of the program can be found here. IPR was founded on October 26, 1956, and celebrates 60 years this year. IPR supporters will be able to celebrate this anniversary at the IPR Research Symposium in NYC and IPR’s Annual Distinguished Lecture & Awards Dinner on November 30th in NYC.